You’ve come to know Jumpshare as the file sharing service that lets you view over 200 file formats online. Up until today, our service and our sophisticated file rendering engine worked exclusively from your browser but we understand that file sharing doesn’t end when you close your browser. 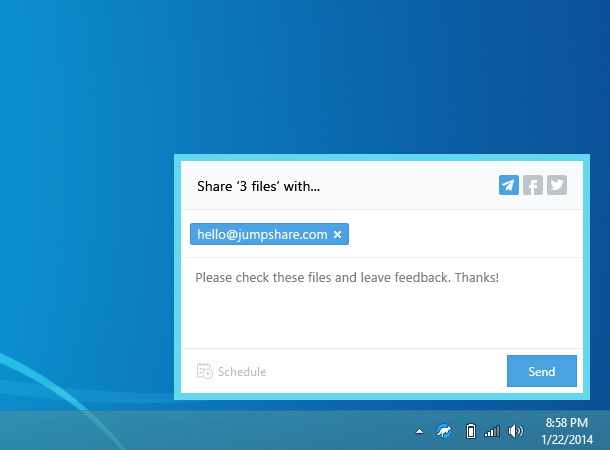 Today, we’re thrilled to launch the Jumpshare app for Windows. The easiest way to describe the app is that it lets you share anything; your files, screenshots, and even text copied to your clipboard. You can capture screenshots with a quick keyboard shortcut and create notes from text copied to your clipboard. We’ve incorporated everything into the app while keeping the user interface dead-simple and easy to use. The Jumpshare app comes with the same set of sharing options that you will find on our website. You can copy link of files to clipboard, share files via email, and share on social media. There’s no need for an email client, or even for a web browser. Lastly our Plus features – Schedule file sharing, locking files with a password, and setting self-destruct for files – have been incorporated in the app. Once you’ve dropped the file(s) to the Jumpshare icon in the system tray, it will automatically copy the link to the file or folder (if you’ve dropped multiple files) to clipboard, ready to be shared. If you want to send files via email or post to Facebook/Twitter, hold down the Alt key and drop the files on to the Jumpshare app. The Share box will pop open and you can choose how you want to share the files. The app does a lot of other neat things that you’ll discover as you use it. Just some of the features we’ve added to make the experience all the easier is showing a list of five recent uploads, a quick count badge that shows you how many times a file has been viewed, and much more. 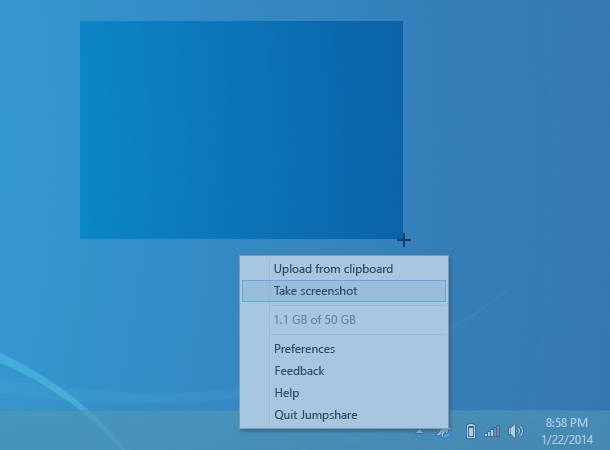 Click the Jumpshare icon in the system tray to view the list of recent uploads. 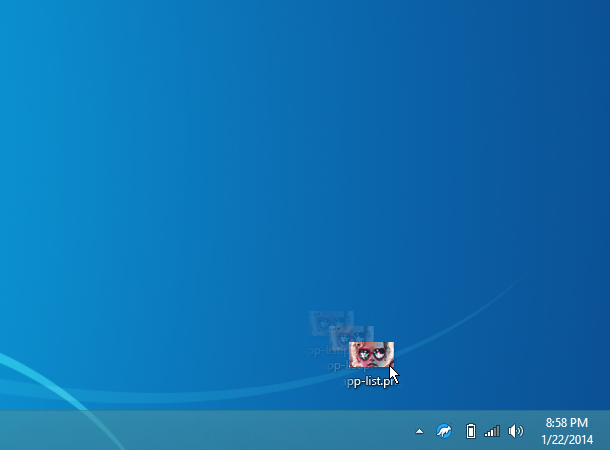 When you hover the mouse cursor over any folder, all files in it are previewed one-by-one. Right-click to view more options related to an upload. Apart from being a great way to share files from your desktop, the app also alerts you when another Jumpshare user shares files with you. Thus allowing team members to quickly send/receive files and collaborate with each other. The Jumpshare window also shows alerts that you’ve missed as a badge count over the activity icon. It’s worth mentioning here that the app is not a replacement for your backup tools, it’s only the smartest way to share files from your desktop. Grab the app and let us know how you like it.